A quick, contract-free way to get found on Google. Express service available on request. 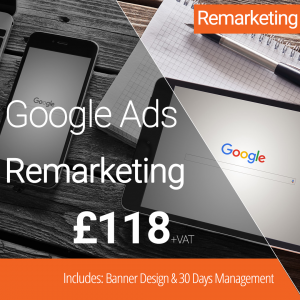 Checkout today and we can could have your ads showing in Google search results by the next business day. 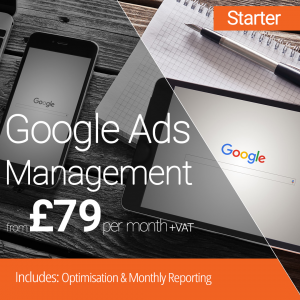 Use our experience rather than your time to get the right Google Ads set-up for your business. Our 30 days FREE support means you can speak to or email a certified expert to help you find your way around Google Ads. 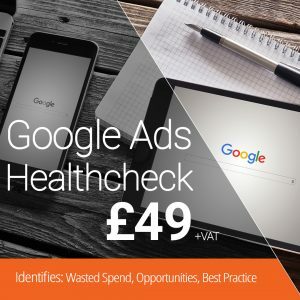 So what does Google Ads Set-up for Search Include? What happens once My Account is set-up? + HOW QUICKLY CAN YOU SETUP MY ACCOUNT? Usually 2-3 working days although often quicker. When you place your order you will receive a confirmation email with a setup questionnaire. + WHAT DO YOU NEED FROM ME? 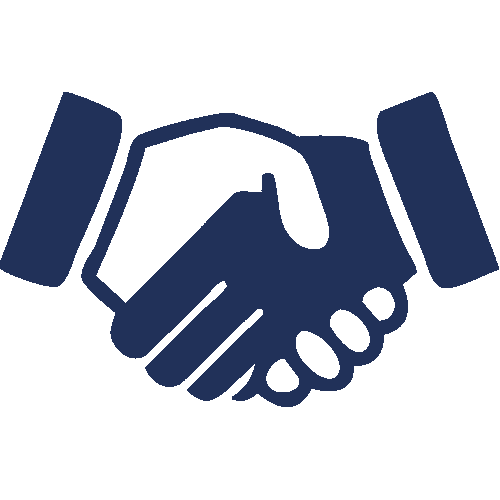 When you order, we’ll automatically email you a questionnaire asking for information about the product or services you with to promote, your target audience and your budget. Once completed we’ll follow up with a call to discuss the finer details and configure your account. + DOES THIS INCLUDE THE ACTUAL GOOGLE COSTS? No, these are billed directly out of the account and back to you. Our charge is for the setup and management only. 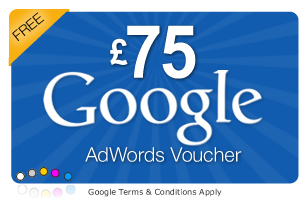 + WILL I GET THE FULL £120 OF ADWORDS CREDIT? Yes, as long as you spend £120 through your account in the first month the promotional code we apply will automatically credit your account in the second month. + WILL I HAVE ACCESS TO MY NEW ACCOUNT? Yes, you will have full access from day one. 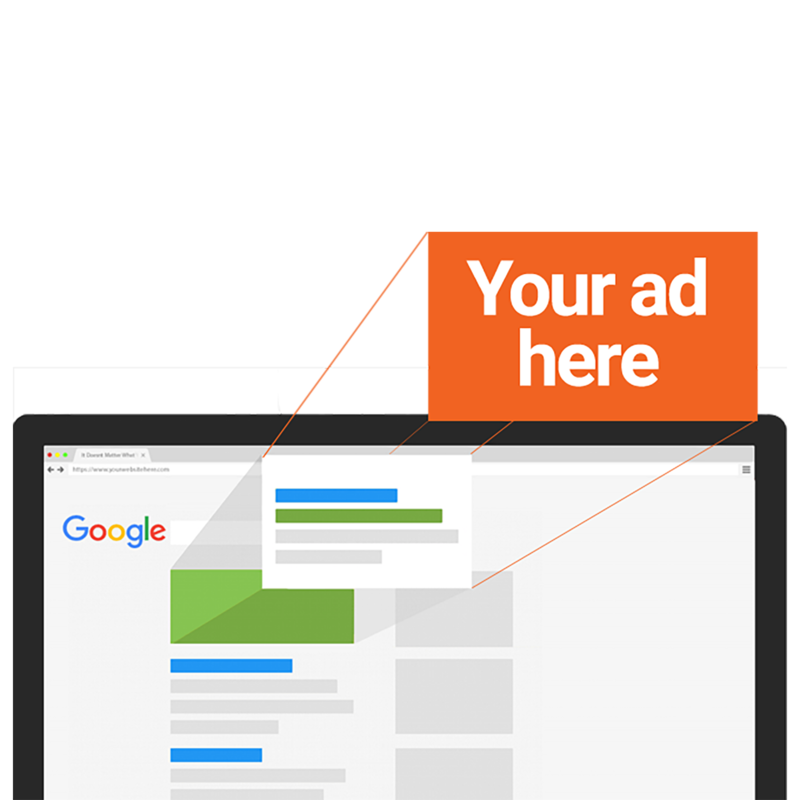 That way can learn your way around Google Ads from day one with the assurance our 30 days support included in this service. + WHAT DOES 30 DAYS OF SUPPORT MEAN? It means you don’t need to worry about anything for the first 30 days the account is active. Our team will provide technical support and advice for any queries or changes you might want to make. + WHO WILL BE DOING THE WORK? The setup and management will be performed by our office-based team here in Hampshire. No outsourcing here! + CAN I GET A DISCOUNT FOR MULTIPLE SERVICES? 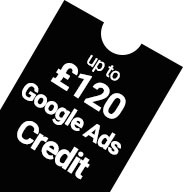 Up to £120 (applied to your account automatically). Unlimited telephone & email support for 30 days commencing the day your campaign(s) go live. Included if you already have Google Analytics running on your site. Full Setup & Configuration setting documentation will be provided. 2-3 workings days as standard. Express service available by prior agreement, contact us to confirm. Colette at NetConnective did a great job setting up Google AdWords. She is very responsive and answered all of my questions quickly.